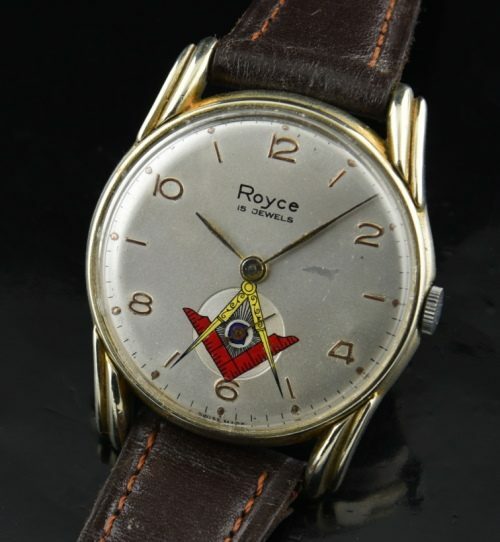 This 1950’s ROYCE Masonic watch is quite uncommon. The fancy gold plated case is 35mm. across and 41.5mm. lug-to-lug. The manual winding ROYCE movement was just cleaned and is accurate. 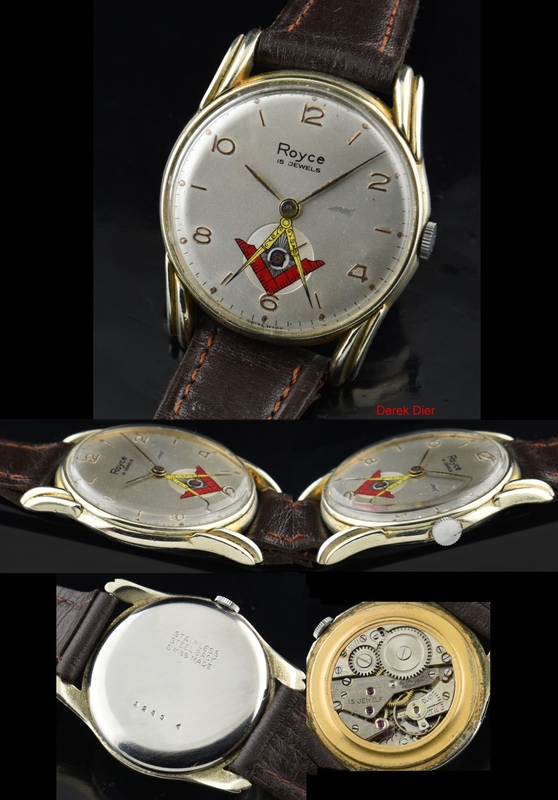 The dial is completely original with colourful Masonic emblem at the the sub-seconds register. You don’t see these watches too often.